Ananke is finally done! And she is up for sale! Ananke Is the goddess of Necessity, inevitability, and compulsion. This is the most beautiful Hunter 26.5 you are going to find! You have to see it to appreciate it! 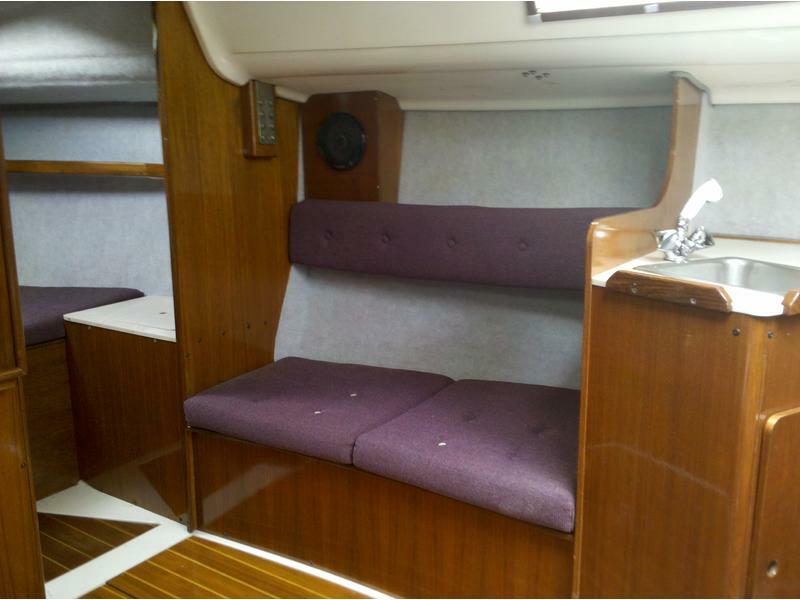 The boat has been completely restored and is ready to go in the water! 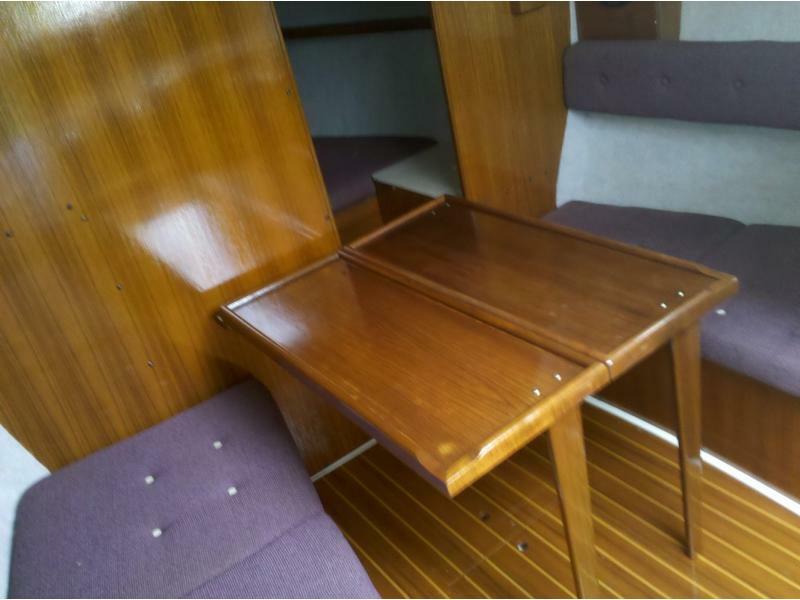 All the wood work has been refinished to a very glossy finish! 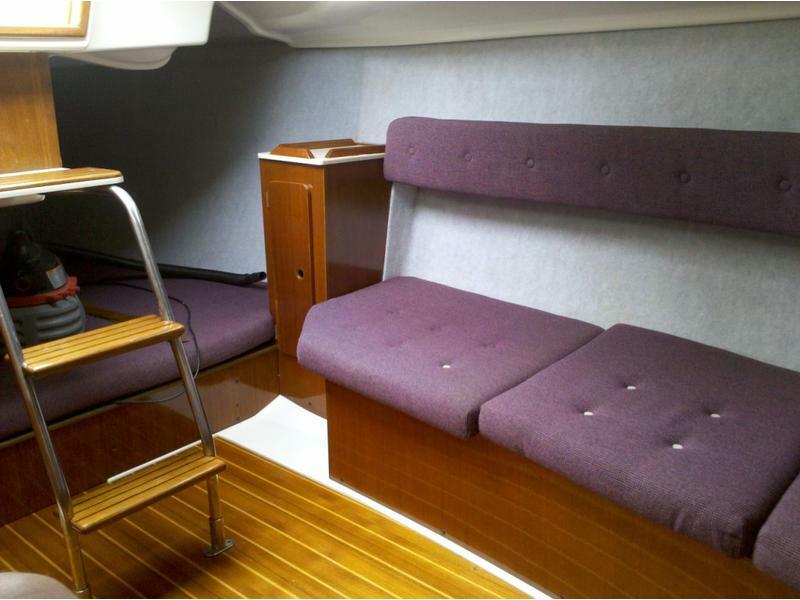 a lot of the wood has been replaced including most of the bench tops, the bulkheads, and the teak and holly flooring. 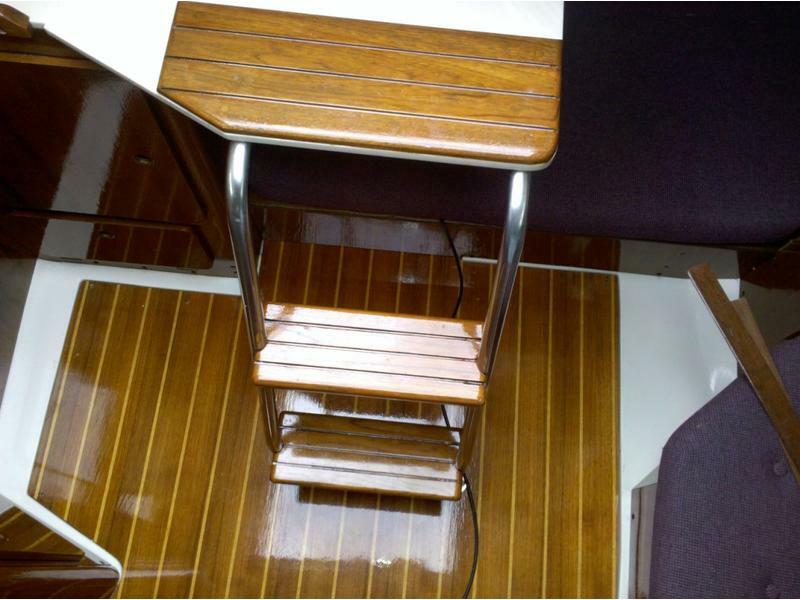 The teak incased spruce mast support has been replaced with a solid teak 4×4. 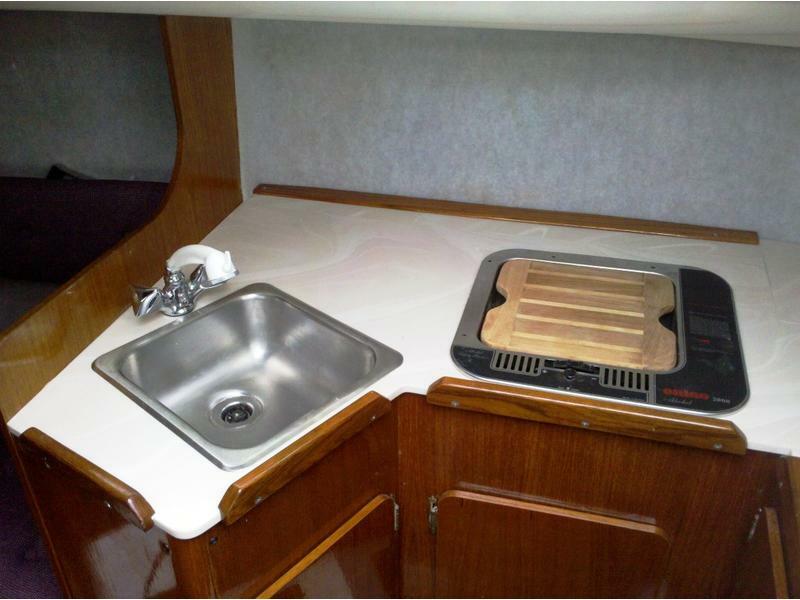 The old ugly laminate countertops have been replaced with great looking corian! The sails are in great condition for their age and have many years of life left in them. 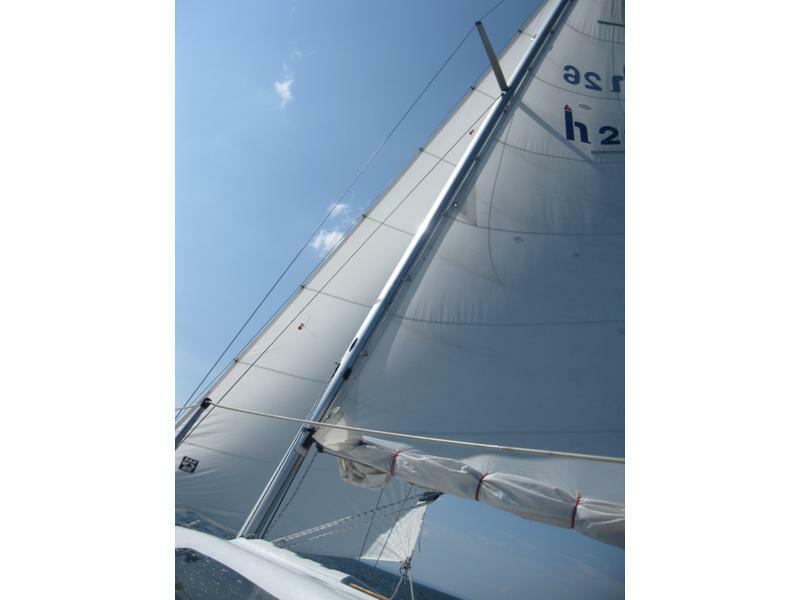 I have added 2 extra reefing points to the mainsail giving it 3 reefing points. 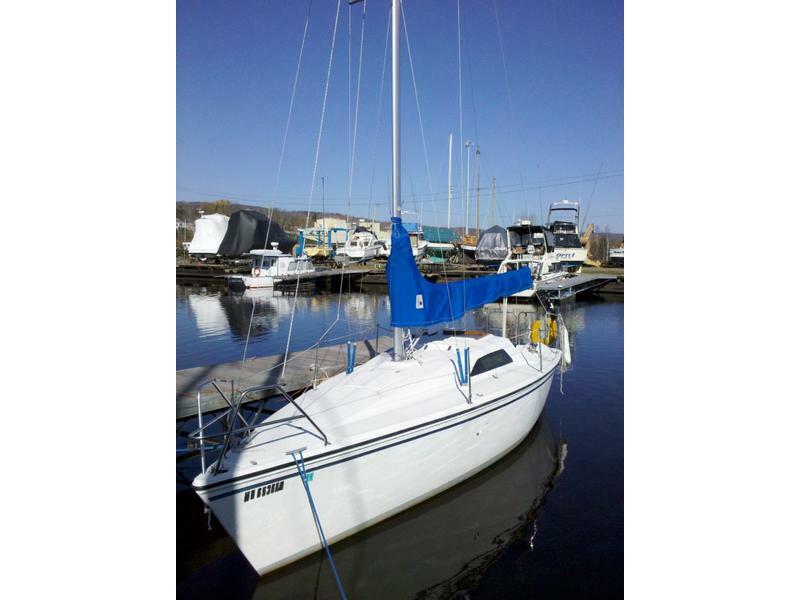 The sail inventory includes the original main and working Jib, as well as a brand new storm jib used for only about an hour. 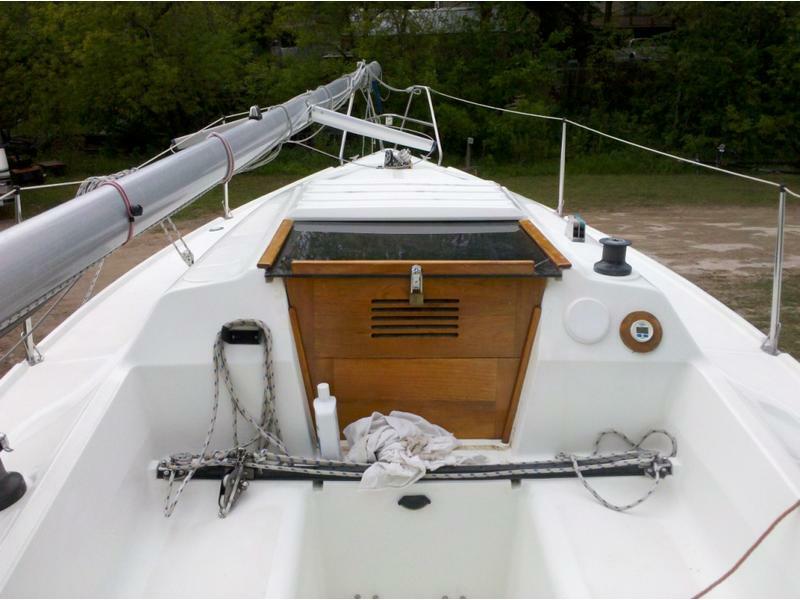 The boat just got a fresh coat of bottom paint (VC-17) and a fresh coat of wax! She is shiny and ready for water! 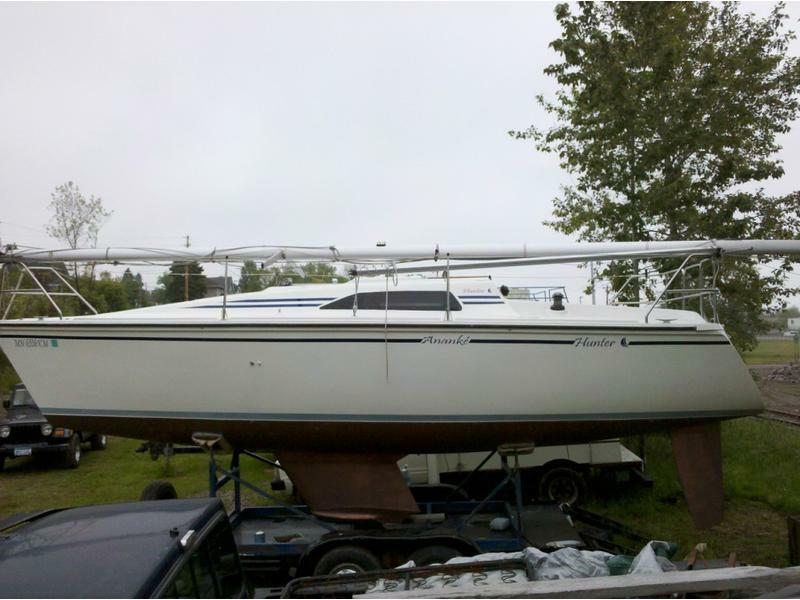 The boat is located in Spirit Lake Marina in Duluth but I can transport it for a fee. 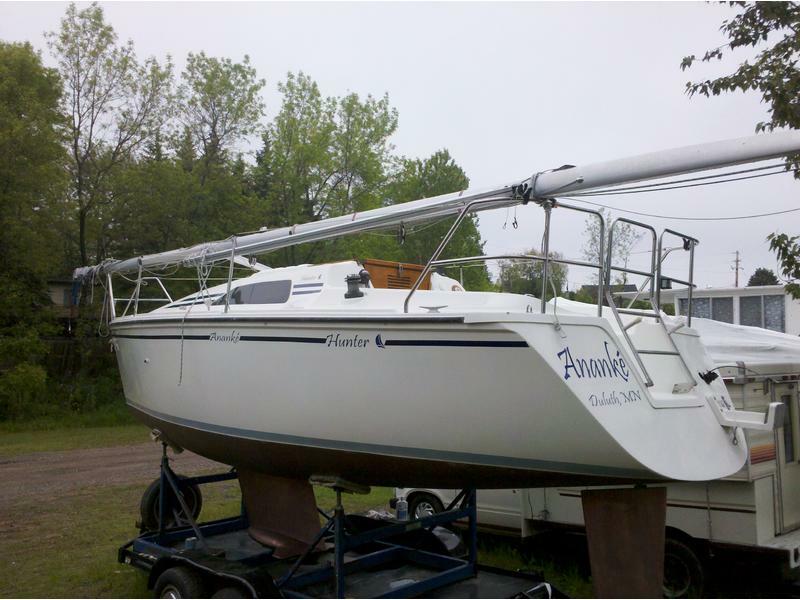 I can also help you launch it and step the mast! 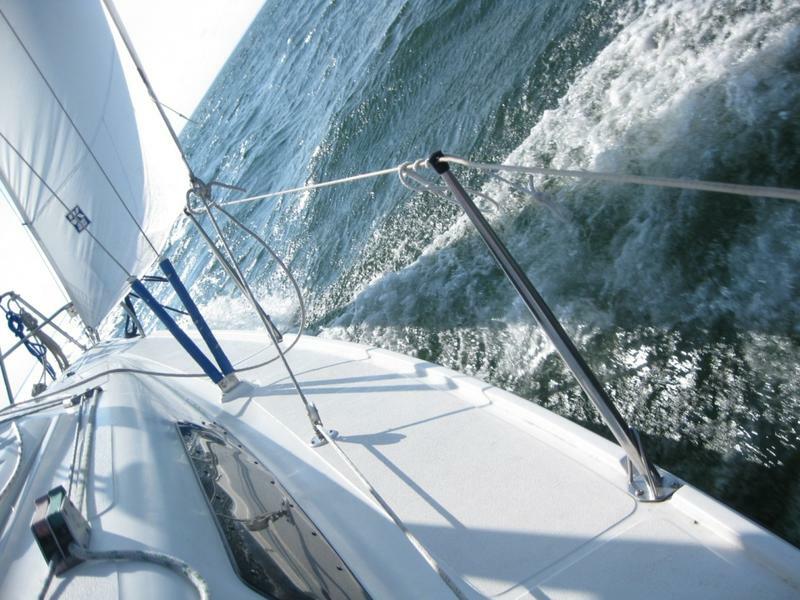 If needed I wouldnt mind going sailing to teach you how to sail a big boat! For more information, pictures or to set up a showing, give me a call or send me an email. The boat comes with a Nissan 9.9 longshaft outboard and the dual axel trailer pictured.